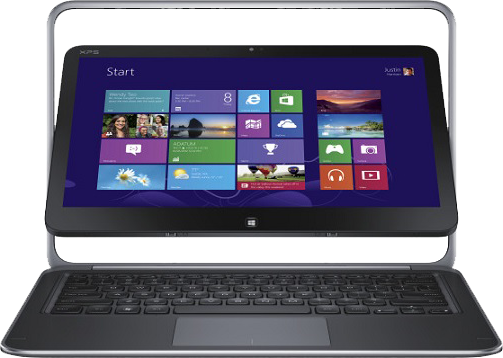 Fancy a stylish convertible Ultrabook? Sure, there are plenty of offerings on the market that fit in the category, but most feature annoyingly steep price tags. Well, if you don’t mind popping in for a visit at the Microsoft Store, you’ll notice the Dell XPS 12 (model XPSU12-468CRBFB) flipper is being sold with a pretty consistent price-cut. Usually, you’d be getting the Ultrabook for a whopping $1,099 / €806, but Microsoft slashes the rates down to just $799 / €586 in a single cut. The Dell Ultrabook convertible comes with a 12.5-inch screen with a resolution of 1920 x 1080 pixels and can be used in both tablet and laptop mode. Under the bonnet, Dell has slipped a mighty Intel Core i5 3317U processor clocked at 2.6GHz and coupled with 4GB of RAM. The flipper also has 128GB of internal storage and runs Windows 8 out of the box. Microsoft also awards free shipping / free returns with the purchase.